Spark your home improvement ideas at the 38th Annual Houston Home Show presented by Mattress Firm at George R. Brown Convention Center on Saturday, March 30 and Sunday, March 31, 2019. From the entry-level to the ambitious, the 38th Annual Houston Home Show will help turn your home improvement ideas into reality, with an opportunity to meet face-to-face with industry professionals and peruse the latest products. At the Houston Home Show, you can prepare your projects with a wide array of pools and hot tubs, contractors and remodelers, and solutions for your indoor and outdoor needs. This year’s show will feature a presentation by “The Wall Wizard” Brian Santos, color consultations from Sherwin-Williams, a kids zone, Mattress Firm’s home therapy solutions and even a $10,000 paint job giveaway from Fresh Coat Painters. Click here for more event information and to purchase tickets. Before you hit the show floor, make sure these Houston Home Show highlights are on your must-see list. The Wall Wizard with Brian Santos – Known for his “edutaining” demonstrations, the best-selling author guides DIYers through the secrets of prepping, renovating, and finishing projects for your home. 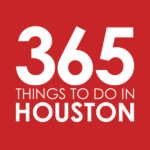 With appearances on Good Morning America, Today, and HGTV’s Smart Solutions, the Wall Wizard’s tips and advice makes for one of the Houston Home Show’s vital show floor stops. Rest and Relaxation – Presented by Mattress Firm, this show highlight provides insight into luxurious home therapy solutions like hot tubs and massage chairs. Sherwin-Williams Color Consultation – Swing by professionally trained Color Consultants that can help you create custom color palettes, offer product recommendations, and dish out project advice for polishing off your home improvement ideas. $10,000 Paint Job Giveaway – Don’t miss your opportunity to be one of the lucky ones leaving the Houston Home Show with a $10,000 paint job courtesy of the professional residential painters at Fresh Coat Painters. KidsZone | FREE – While you stroll the Houston Home Show floor, little ones can work out their energy at the nearby KidsZone, complete with tons of inflatable fun. Parking: Paid surface and garage lots are available in the surrounding area. Click here to view event information and detailed parking maps. Admission: Tickets are $9 for adults; $7 for seniors and military; Free for children 14 and under. Click here to purchase tickets. This story was sponsored by Houston Home Show. Per our sponsorship policy, we only accept sponsored content from businesses that meet our editorial standards and truly present a valuable activity, resource, or destination for residents and visitors across the greater Houston area. Click here to learn about promoting your event or business.